Roth Unbound NPR coverage of Roth Unbound: A Writer and His Books by Claudia Roth Pierpont. News, author interviews, critics' picks and more. A critical evaluation of the National Book Award- and Pulitzer Prize-winning writer's creative life and achievements offers insight into the man as reflected by his art. 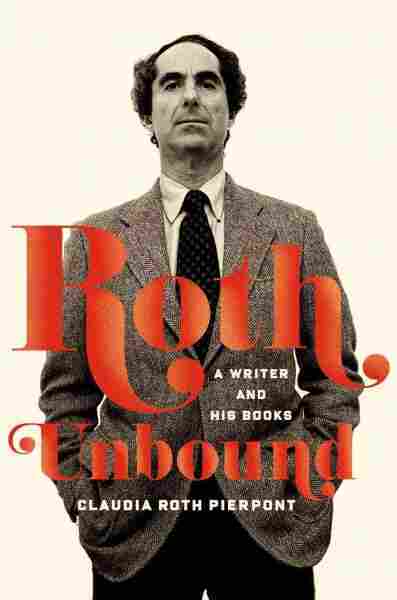 Roth Unbound provides coverage of Philip Roth's family life, inspirations and literary friendships. October 23, 2013  Claudia Roth Pierpont's new Roth Unbound looks at themes in the work of Philip Roth (no relation). All the themes, in every book by the famously prolific writer. Reviewer Heller McAlpin says it's "a dazzling if sometimes exhausting journey" that dutifully addresses Roth's foibles as well as his talent. "What is being done to silence this man?" The question, posed by a prominent New York rabbi in a letter to the Anti-Defamation League of B'nai B'rith in 1959, conveyed the tone of a demand and continued with the hint of a solution: "Medieval Jews would have known what to do with him." The figure condemned to bloody justice was a little-known writer of short stories named Philip Roth, aged twenty-six. In Roth's retellings of his first public battle, he tends to recall himself as even younger, as though trying to convey the vulnerability he felt when he was invited by his elders at the League to meet and discuss the problem. Back in his high school days, Roth had wanted to become a lawyer for this very organization, protecting American Jews from legal bias and discrimination — as he told two of its officers over lunch at Ratner's, the Jewish restaurant on Second Avenue, where, he fondly recalls, "the waiter's thumb was always in the soup." He was clearly a serious young man, and the lunch turned out to be a friendly affair. There was no way that the League could have controlled what he wrote, of course, even had its members wished to try, which they did not. ("Free country, the U.S.A.," Roth cheerily noted in an account of the incident decades later.) During the next few years, however, he spoke about his work at meetings sponsored by several Jewish organizations, where he was freely able to defend what the rabbi's next letter, written directly to him, just as freely denounced as "such conceptions of Jews as ultimately led to the murder of six million in our time." One of Roth's stories was about a thirteen-year-old Hebrew school student who threatens to jump from the roof of a synagogue unless the rabbi, the boy's mother, and everyone else gathered in the street below kneel down and declare their faith in Jesus Christ. But this story, titled "The Conversion of the Jews," was not the one that had outraged the rabbi. There was also a story titled "Epstein," about a sixtyish married Jewish man whose wages of sin for a brief affair are, progressively, a humiliating rash and a heart attack. This one was not mentioned by the rabbi, either, although another rabbi was reported by The New York Times to have complained about Roth's portrayal of a Jewish adulterer and other "lopsided schizophrenic personalities," all of whom happened to be Jews. But were there any major characters in Roth's stories who were not Jews? In the eerie fable "Eli, the Fanatic," the irate citizens who want to evict a home for Jewish refugee children from an elite suburban town are not the town's long-established Gentiles but its nouveau suburban Jews, who see the refugees as foreign, embarrassing, and a threat to their new American status — a threat precisely of the sort that the rabbis found in Roth. The source of rabbinical wrath had appeared in The New Yorker in March 1959 and was titled "Defender of the Faith." More than Roth's other stories, it was intensely realistic and psychologically complex. (Roth today calls it "the first good thing I ever wrote.") Set in an army camp in Missouri during the final months of the Second World War, it follows the moral and emotional progress of a fair-minded Jewish sergeant — a recently returned combat hero, numbed by all the ruin he's seen — who is repeatedly cajoled by a Jewish draftee into granting favors on the basis of their religious bond. The claims of Jewish clannishness were always disturbing to Roth's proudly American heroes: the Hebrew student in "The Conversion of the Jews" first gets into trouble by asking the rabbi how he can "call the Jews 'The Chosen People' if the Declaration of Independence claimed all men to be created equal." "Defender of the Faith" deals head-on with this conflict of loyalties: the finagling young soldier, on the point of successfully evading service at the front, is finally punished by the sergeant, who, despite reserves of feeling for the younger man and the memories of family he has stirred, has him reassigned to face the same dangers as the other men. When the pair confront each other at the story's end ("There's no limit to your anti-Semitism," the furious young man cries, "is there? "), the sergeant explains that he is looking out not for a particular people but for "all of us." This is the faith that he unequivocally defends, without, however, losing sight of the other faith that he has relinquished for it. It was the depiction of the weaselly, lying, nineteen-year-old Jewish soldier that caused the stir. Neither Roth's conclusions, nor the controlling intelligence of the sergeant, nor, certainly, the story's literary qualities had any impact on those who were outraged by the mere suggestion that such a person might exist. The most incendiary aspect of the story, however, was its publication in The New Yorker. Roth's earlier work had appeared in such prestigious but little-read journals as the newly founded Paris Review and the largely Jewish-read Commentary, which had been established by the American Jewish Committee after the war. In fact, "your story — in Hebrew — in an Israeli magazine or newspaper," the censorious rabbi wrote to Roth, "would have been judged exclusively from a literary point of view." Here, however, in America, in a magazine widely esteemed in Gentile society, Roth's best efforts amounted to nothing less than an act of "informing." Roth was genuinely stunned by the reaction: blindsided. On the morning that The New Yorker came out, he recalls, he had walked from his apartment on East Tenth Street to the newsstand on Fourteenth Street "about six times," until the magazine finally appeared, and then he took it home and "read it over and over, and then I read it backwards and then I read it upside down — I wouldn't let it out of my hands." Letters started coming in just a couple of days later and soon turned into such a deluge that the editors developed a form letter to send in reply. The story was a clear departure for The New Yorker, which had previously published Jewish stories on the order of The Education of H*Y*M*A*N K*A*P*L*A*N by Leo Rosten, stories that Roth describes as being about "cute Jews." (Alfred Kazin began his first review of Roth's work with the statement "Several weeks ago I was awakened, while reading the New Yorker, by Philip Roth's 'Defender of the Faith.'") But beyond literary circles, the response was evidence of the rawness of Jewish nerves, just fourteen years after the end of the war — with losses still being absorbed and the word "Holocaust" not yet adopted to describe them — and of the inability of many Jews to accept Roth's revelation of what he called their "secret": "that the perils of human nature afflict the members of our minority." The publication of five of Roth's stories in book form, together with a novella, Goodbye, Columbus, took place in May 1959, just two months after The New Yorker hit the stands. Roth later reported that the slender volume was considered, in some circles, "my Mein Kampf." The new novella, which gave the collection its title, fueled heightening charges of Jewish self-hatred and anti-Semitism through the same material that made it irresistibly comic: its broadly vaudevillian treatment of the working-class Jews of Newark ("Shmutz he lives in and I shouldn't worry," Aunt Gladys worries) and, especially, its relentless skewering of the country club Jews of nearby but worlds-away Short Hills — a post-war suburban species still new to literature. After a brief drive up from Newark, where Aunt Gladys and Uncle Max spend steamy summer nights sitting in a dingy alley seeking a breeze, Neil Klugman, age twenty-three, arrives among sprinkled lawns, air-cooled rooms, and streets named for the colleges the local progeny attend. Neil, a somewhat defensive graduate of the Newark branch of Rutgers University, and a junior league if wised-up Gatsby, is in pursuit of a girl — a Radcliffe girl named Brenda Patimkin, home for the summer — whose fascination is inextricably bound to the careless self-possession that money breeds. Roth was not in any conscious way responding to Fitzgerald's book, and Goodbye, Columbus was a spontaneously written work — "with some of the virtues and all of the defects of spontaneity,"Roth tells me, now that its defects seem all too clear to him. Still, at the time, The Great Gatsby was indeed fresh and important in his mind. During the mid-fifties, in graduate school, he had taken a course on the American Twenties, in which each of the students was assigned a particular year for a cultural report. Roth had drawn 1925: "the most terrific year," he says. "The Great Gatsby, Manhattan Transfer, the start of The New Yorker." The impact of Fitzgerald's book on him was in its "angle of social observation," he says, but early critics saw more than a bit of Fitzgerald's feckless Daisy in Brenda Patimkin, ruthlessly competitive yet angelic in tennis whites as she and a friend with a fake Katharine Hepburn accent play on into the soft summer night, while Neil waits impatiently for their first date to begin. The fact that Brenda owes her beauty to a nose job and her family fortune to Patimkin Kitchen and Bathroom Sinks in lowly Newark does not detract from her allure. To Neil, she is every bit as much "the king's daughter" as Daisy was to Gatsby — Roth simply (if unknowingly) took over Fitzgerald's chivalric phrase. A king's daughter is a princess, of course, and Roth has been widely accused of helping to establish the stereotype of the Jewish American Princess. In fact, the term did not arise until more than a decade later, in the early seventies, and probably had more to do with the exaggerations of the entire Patimkin household in the movie version, directed by Larry Peerce, that appeared about that time. Excerpted from Roth Unbound: A Writer and His Books by Claudia Roth Pierpont, published in October 2013 by Farrar, Straus and Giroux, LLC. Copyright 2013 by Claudia Roth Pierpont. All rights reserved.